Clients often come to us asking how they can add some unique style to their office spaces without being too trendy or making their office decor distracting. For us, this is one of the most fun aspects of custom metal work: NYC business owners seeking us out to help them make an individual, distinctive statement that truly adds to their décor and serves to elicit conversation or create a bold first impression. While it’s always fun having a blank slate to work with, it’s an equally enjoyable challenge to come up with unique metal products that work within the confines of existing spaces and décor. The first thing we tell clients looking to jazz up their office spaces with custom metal furniture is this: even small pieces can have a big impact. 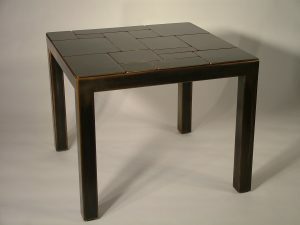 For instance, we make small metal tables NYC business owners love because these unique pieces are on-trend, different than the expected wood and glass, and fantastically durable in high-traffic areas. Functional statement pieces like these are easy to fit into nearly any style of office, especially because we make them available in such a wide variety of colors and finishes. Making a statement doesn’t have to mean redoing your entire office. 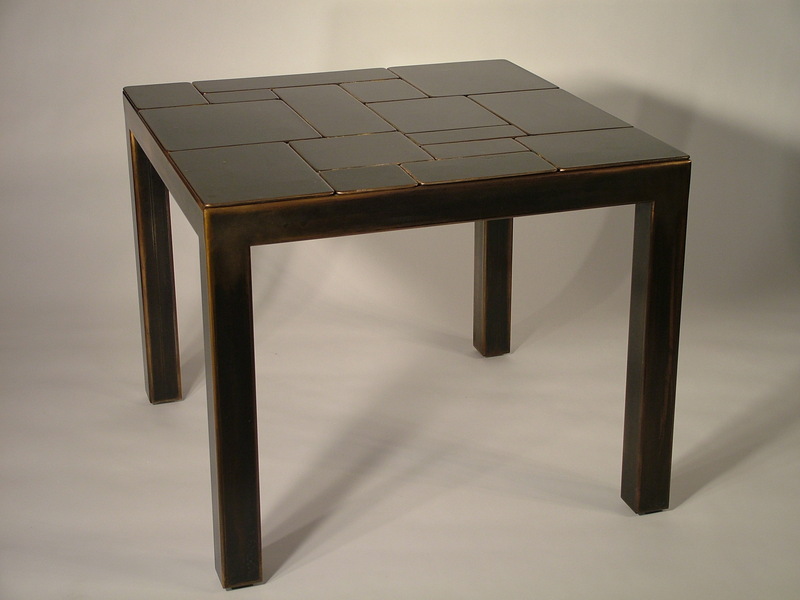 It truly can be accomplished by integrating the right custom metal pieces into your existing décor. For some great ideas, check out our Swarf tables, always a favorite among conscious consumers; or have a look at the edgy Pipe Bomb Bar, a masculine design that works as well in an office as it does in the hippest of man caves. Give us a call and see how you can add style to your office in a unique way.